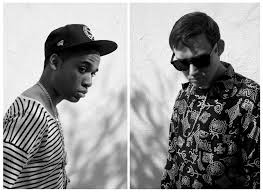 Artists Hudson Mohawke and Lunice better known as the smash team of TNGHT have recently decided part separate ways for the near future. TNGHT has hits such as “higher ground” and “gooo” have made this duo widely known. LUCKY ME records have confirmed the recent decision as “being wrapped up for the time being”. Rumors started and now have appeared true. The TNGHTS Facebook page put up a banner that states “until next time” and the famous moon logo the pair shared is now covered with clouds. 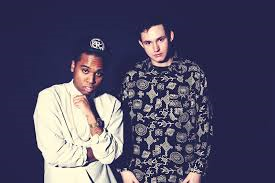 Hudson Mohawke as well as Lunice were both signed separately to Kanye West’s G.O.O.D. Music record label. Both were later asked to collaborate on Kanye West’s “Yeezus”. Hudson Mowhake born Ross Brichard of Scotland is actually a co-founder of LUCKYME RECORDS. Lunice born Lunice Fermin Pierre II is from Montreal, Canada. Lunice signed with LUCKY ME RECORDS which later led to the phenomenon we knew as TNGHT.